Jesus took Peter, James, and John his brother, and led them up a high mountain by themselves. And he was transfigured before them; his face shone like the sun and his clothes became white as light. And behold, Moses and Elijah appeared to them, conversing with him. Then Peter said to Jesus in reply, "Lord, it is good that we are here. If you wish, I will make three tents here, one for you, one for Moses, and one for Elijah." While he was still speaking, behold, a bright cloud cast a shadow over them, then from the cloud came a voice that said, "This is my beloved Son, with whom I am well pleased; listen to him." When the disciples heard this, they fell prostrate and were very much afraid. But Jesus came and touched them, saying, "Rise, and do not be afraid." And when the disciples raised their eyes, they saw no one else but Jesus alone. As they were coming down from the mountain, Jesus charged them, "Do not tell the vision to anyone until the Son of Man has been raised from the dead." “Our God is an awesome God.” Trivializing the real meaning of awe, it’s one of the most annoying lines in pop-religion. Awe is not the response we have for an indulgent father (“Thanks, Dad, you’re awesome”). Awe is a response to an encounter with the infinite majesty of the divine. It is greater than the sense of wonder or mere amazement. There is even something violent in the sense of awe. Awe is uncontrollable and engages the emotions, shaking the body and the soul. Adam’s response after the creation of Eve is a response of awe to the creative and loving power of God: “At last bone of my bone, flesh of my flesh.” Indeed, awe is a magnificent gift. St. Paul describes the awe of heavenly glory when he writes: “Eye has not seen, ear has not heard, nor has it so much dawned on man what God has prepared for those who love him” (1 Cor 2:9). But after the fall of Adam, the gift of awe in the presence of the divine has been wounded by sin, introducing the factor of fear. Fear is the emotion that recognizes some kind of danger to life and limb. It also recognizes the insignificance, perhaps even the futility of one’s existence in the presence of the Creator. Adam and Eve were fearful of the Lord after the fall. They covered themselves in shame and hid from His view. Their shame was the result of their sin, their violation of the Creator’s commandments. And they feared divine retribution. Their sense of awe would be forever distorted by fear. Of course, Scriptures teach us that “The fear of the Lord is the beginning of wisdom; all who follow his precepts have good understanding. To him belongs eternal praise” (Ps 111.10). The role of fear is to impel us to follow God’s precepts. Even servile fear is not a bad beginning leading to a righteous life. But servile fear itself needs to be purified if the sense of awe is to be restored to its original dignity and beauty. 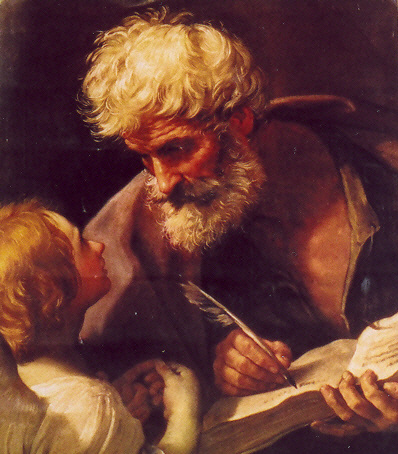 St. Peter was awestruck at the beginning of the ministry of Christ after witnessing the miraculous catch (cf. Lk 5). He and the others were violently “seized” with fear in the presence of the divine. But Peter’s awe is filled with fear and a sense of his nothingness. He falls to his knees and begs Jesus, “Depart from me, Lord, for I am a sinful man.” Similarly, when the disciples saw Christ walking on the sea “they were terrified: ‘It is a ghost,’ they said, and they cried out in fear” (cf. Jn 6). The violent fear of the divine intertwined with their awe-filled sense of His presence is paralyzing. Paradoxically after the fall of Adam fear is not only the “beginning of wisdom” in that it recognizes God’s omnipotence and our sinfulness; it is also a significant obstacle to intimacy with God. A truly loving relationship with God is impossible with mere servile fear. Hence, revisiting the Gospel accounts identified above, every time the apostles are awestruck and paralyzed with fear, Christ intervenes. He repeatedly instructs them to “be not afraid.” His “be not afraid” command transforms their fearful response of awe to a rational faith in the person and mission of Christ. Awe in our encounter with the divine is liberated from servile fear and transformed in the friendship of Christ. Ultimately, it is the awesome power of love — not fear — that impels us to walk with Christ in the intimacy of faith and enter into His kingdom.